4 Bedroom Detached House For Sale in Barnsley for £425,000. Located within this new build development is this stunning four bedroomed two bathroomed stone built property. The property offers a triple garage to the side with ample parking. secure access gates and private driveway. Further enclosed rear garden with good sized laid to lawn area. Accommodation comprises, entrance hallway with wc/ cloakroom, dining room, utility, outstanding breakfasting kitchen, conservatory, living room, office/ snug, four bedrooms to the first floor, en-suite and further main house bathroom. The property has been completely transformed by the builder and offers a very high standard of family accommodation located on this brand new development. 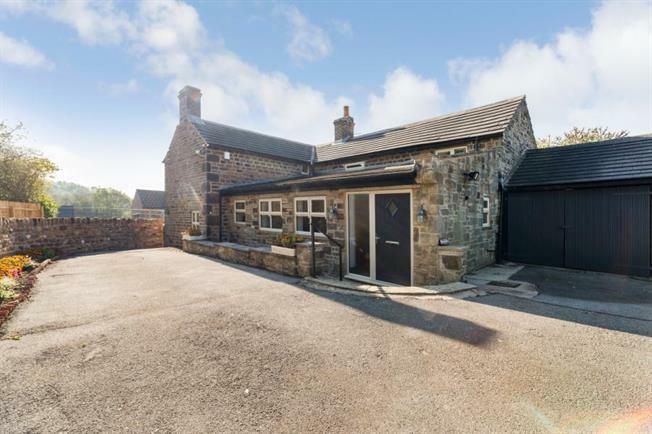 The property is situated to take advantage of easy access routes to both Sheffield and Barnsley and is located within minutes of the M1 Motorway. All viewings are carried out by Blundells estate agents and an early inspection is recommended to see the quality of space on offer.